Virginia day care centers have a lot to offer. These day care centers will have plenty of other kids that your son or daughter can make friends with. Browse through our complete guide below of Virginia’s day care centers and you will find exactly what you’re looking for. Your child will find their nest in Children’s Nest where they can learn and experience the world of exploration in a safe, fun and training environment. Let your child learn in advance the fun of going to school through the Children’s Nest in VA’s way of prepping them up for their school age. Virginia’s Children’s Nest has programs for infants, toddlers, two-year olds, three-year olds, pre-kindergarten and for school agers. Not to mention their staff, they all have years of experience and knowledge in loving children, teaching them in a manner of exploring and playing. The facilities of Children’s Nest are also very conducive to learning and playing. The inside of the rooms outside of their day care centers are wonderfully designed to make them fit for a child’s nest! Come and let your child have their nesting place where they can learn while playing! 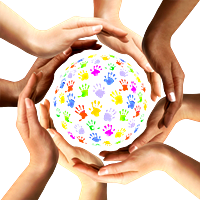 As what the Nobel Prize winner James Heckman had said, “skills beget skills”, the Valley Interfaith Child Care Center make the development of children’s skills seriously. It was proven through research done that 85-90 percent of the brain’s learning adaptation takes place during the first three to five years of a child’s life. So this is what the Valley Interfaith Child Care Center in VA believes in and what it has in its goal. That is to develop the overall skills of each and every child in their day care center. With that basis, Virginia’s Valley Interfaith Child Care Center strives to administer the earliest skills training that can form positive rewards for each child enrolled in their day care center. For their programs and other info, please see their website. The Adventure Club can be the most adventurous, fun and best learning pre-school day care center for your child. With their professional staff that is all well-trained supported by the school, The Adventure Club can create and make happy children within their school premises. 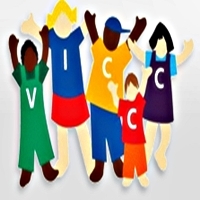 Virginia’s The Adventure Club is sponsored by the Child Care Consultant Services Inc. They also obtain a license to operate from the Virginia Department of Social Services through the Abingdon Regional Office. 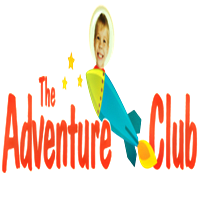 The Adventure Club in VA welcomes you to visit their day care centers during their office hours for you to discover the fun world that awaits your child. They currently have two full day care locations, one in Blacksburg and one in Radford, both in Virginia. Another day care center that they have is the Grace A Child USA also in Virginia. Child Development Center for Learning & Research was funded and organized by Virginia Tech. 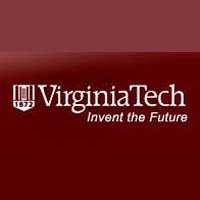 Virginia Tech is a college and university for students aiming to earn degrees, master in arts & sciences, and doctorates. In 1940, they began to fund schooling for preschoolers which then made it to a full time, full-year Child Development Center for Learning & Research in VA later the early year of 2005. Today, Virginia’s Child Development Center for Learning & Research provides quality preschooling based on development theory, research and developmentally appropriate practice. They give professional education in child development at their early age; and they continuously make research for the development of each child through their early education. 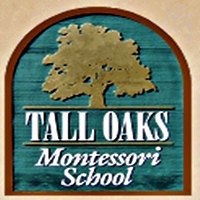 Tall Oaks Montessori School in VA provides an unequalled high-quality unique education in New River Valley. They accept all race, color, religion or national origin without any bias, prejudice or discrimination. Tall Oaks Montessori School teachers are aimed at the development of each child to make them competitive learners in preparation for their formal school days ahead. Teachers here are trained and have a unique way of letting the children learn and explore many educational Montessori supplies that will enhance their skills of discovering new ideas, knowledge and skills. Parents will appreciate the self-discipline that their kids will learn from this day care center. Virginia’s Tall Oaks Montessori School has Pre-Primary programs (fit for 18 months to 3 years old), Primary Program (fit for 3-6 years old) and Elementary Program (fit for 6 to 12 years old). Here at Kids Heaven Childcare and Learning Center your child will not be ill-at-ease as your child will feel comfortable with the place and its surroundings. To be with other children of the same age will be just one of the new things your child will be learning from Kids Heaven Childcare and Learning Center in VA. Enroll your child today at this day care center and let them be taught and handled by their caring yet creative teachers. 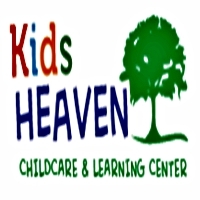 Virginia’s Kids Heaven Childcare and Learning Center is just a small scale pre-school day care center in New River Valley that focuses on children's social development and learning. Please give them a call if you feel like touring the place’s facilities now prior to their enrollment. The University of Virginia has two day care centers in its premise. The first one is called University of Virginia’s Child Development Centers, which was established in 1991. This preschool is intended for infants up to prekindergarten. While The University of Virginia’s other day care center is called The University of Virginia Infant and Toddler Child Development Center. This one was established in August of 2011. The University of Virginia’s Child Development Centers in VA is accredited by the National Association for the Education of Young Children (NAEYC). 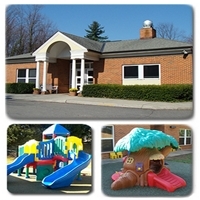 Both day care centers provide unique educational programs that are adjusted to each child’s developmental level and interests. Virginia’s University of Virginia’s Child Development Centers also provides nutritious snacks for their enrolled children. These snacks are ensured by the university with its quality and nutrition. 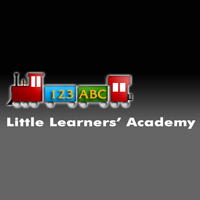 123 ABC Little Learners’ Academy provides traditional education with active play, teacher instructed and directed fun educational activities and multiple language education. Multiple language learning here includes English, Spanish and American Sign Language. This day care center also employs professional staff and medically training staff support. They have this for those children with food allergies, speech or language defects and with limited mobility. Food and snacks are being provided here for all children enrolled at 123 ABC Little Learners’ Academy in Virginia. What this day care center aims to do is prepare your child or each child enrolled in their day care center for their entrance into elementary school. Virginia’s 123 ABC Little Learners’ Academy also accepts those children who are underage yet are mentally ready for kindergarten. The ABC Montessori Center believes that education for children should be a natural process acquired by natural experiences and interaction with environment. Virginia’s ABC Montessori Center helps your child in acquiring this in their conducive playschool filled with conducive materials for their development. What the ABC Montessori Center in VA does is they will let the children choose and engage in many learning activities under of course the guidance of a trained teacher. This process has been tested and verified by the school to be more effective in making the children discover their own motivation, concentration, self-discipline, and a love of learning. 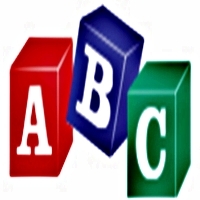 Learn more about ABC Montessori Center through their website now. Virginia’s A Heavenly Haven has a dedication, passion, teamwork and commitment to your child’s early education years! A Heavenly Haven is passionate and dedicated to making your son or daughter a precious little angel happy and all ready for their school years ahead. A Heavenly Haven in VA is committed to providing early education through not just educational plays but also some hands-on and theatrical performances. These combinations will make their stay at the school a heavenly experience that they can cherish forever. This will entice in them the fun of going to school thus making them more eager to learn and ready for the real school days ahead of them. Get to know the perfect heavenly haven for your child today and have them enroll now to have them experience this promising fun fit for little angels like yours.